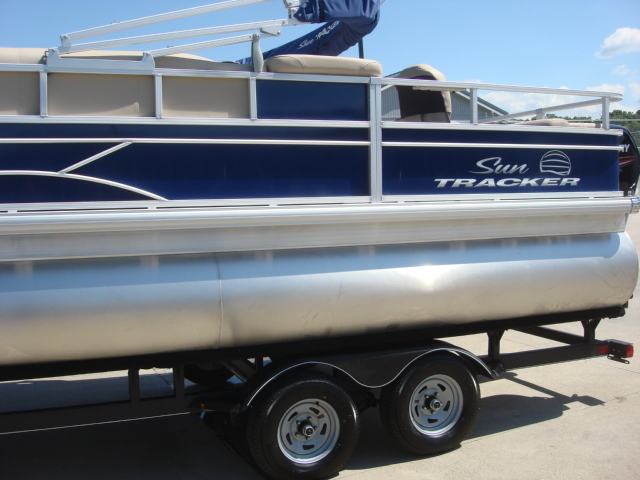 2014 Sun Tracker Fishing Barge 22, 2014 Suntracker Fishing Barge 22 DLX with Mercury 90 HP Outboard. Nice clean boat with fish finder, full cover and tandem axle trailer with brakes on both axles. 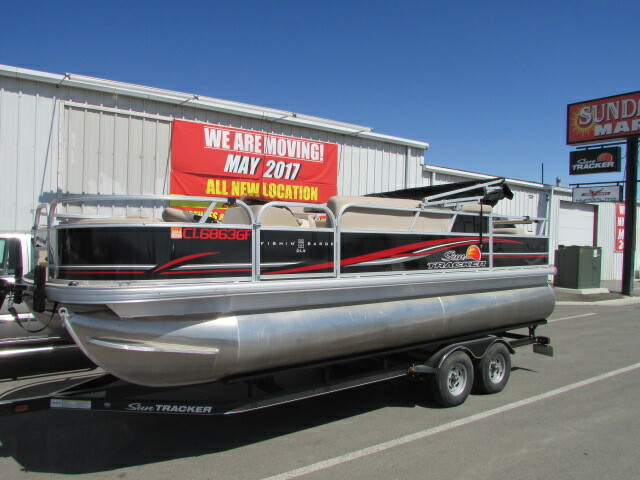 This auction is for a "like new" 2014 SunTracker Fishing Barge 22' DLX. This boat looks and runs like a NEW boat. It is covered by the 10+Life™ Warranty that is fully transferable. The boat has less than 15hrs on it and is currently being maintained under a covered boat house on Lake Harding, Alabama. I do NOT have a trailer for the boat. The winner of the auction will have to provide their own trailer or other method of movement if required. 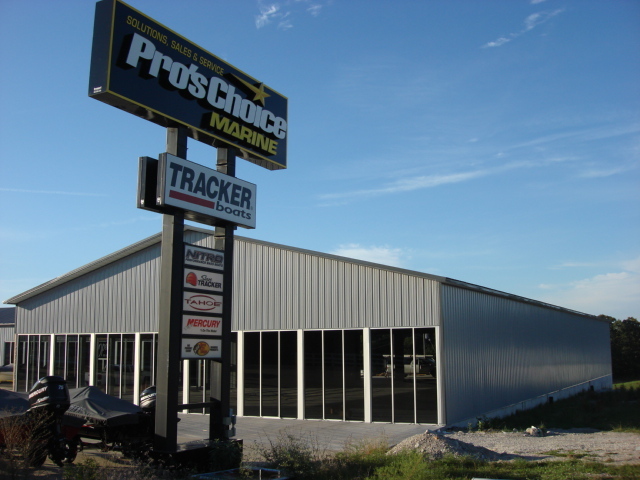 The boat is paid in full and ownership can be transferred upon receipt of payment. 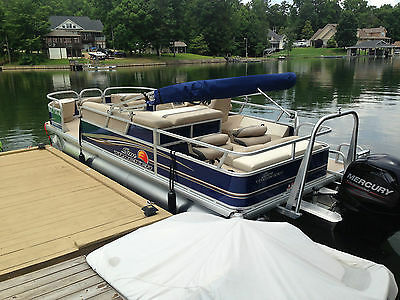 These are additional options that are included with/on the boat: -90 HP Mercury Engine -Lowrance Elite 4X Fish/Depth Finder -Brand New/Never Used propane rail-mount CUISINART BBQ Grill -Porta Potty -Front mounted slide-away boarding ladder -OEM Ski Tower -Full vinyl flooring -Genuine SunTracker snap-on cover (Blueberry) -Wide angle ski/tubing mirror -Lifejackets, oar, fire extinguisher, throw flotation, anchor and line...everything needed to be on the water! 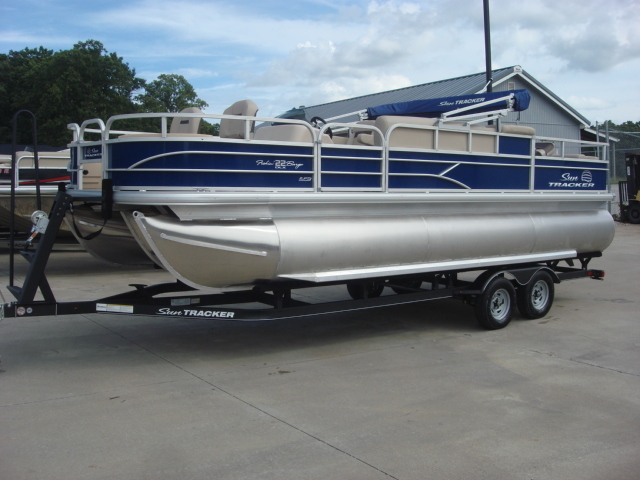 The standard SunTracker Fishing Barge 22' DLX description and features are listed below: Go big with the FISHIN' BARGE 22 DLX! It’s loaded with fishing features and comfortably designed to please everyone in the family. With amenities include a lounge table with drink holders, a padded aft sundeck w/pop-up changing room, padded aft lounge w/storage and a livewell underneath, a relaxing L-shaped lounge at port, and 4 fishing chairs (2 fore and 2 aft), you’ll be equipped to relax and fish all day long with friends and family. Performance advantages begin with the 24" (60.96 cm) diameter high-buoyancy multichambered pontoons w/wave deflectors, and continue with the full-width heavy-duty extruded Z-bar deck supports, thru-bolted to M-brackets for incredible structural rigidity.Backed by our 10+Life™ Warranty—the Best in the IndustryNEW fishing-friendly, easy-clean vinyl flooring throughoutNEW console style w/wraparound sport shroud & tinted, removable windscreen & ergonomically positioned binnacle control boxAM/FM Bluetooth®-capable stereo w/MP3 & USB ports & 2 directional speakersBow & aft fishing positions w/4 removable fold-down fishing chairs and 2 livewellsMarine-grade, UV-resistant upholstery w/26-oz. base vinyl & multiple densities of foamRoomy port L-lounge w/lockable underseat dry storage boxRemovable table w/molded-in drink holders w/2 pedestal base locationsPadded aft sundeck w/pop-up changing room/storage compartment w/bench & storage netRear boarding platform/aft entry w/heavy-duty non-skid surface for durability Most of the pictures are OEM from SunTracker. The boat is Blueberry as shown in the pictures, but does NOT have a trolling motor. I have over $26,500 invested in this boat; my loss is your gain! Please email if you would like to see actual pictures; the boat can be viewed locally at Lake Harding, AL. Thanks for looking! Please send any/all questions. NO RESERVE!!!! The boat is for sale locally and I reserve the right to end the listing early.